It is well found that the agricultural sector, livestock in particular, produces a significant portion of global greenhouse gases emissions. Veganism, some argue, should be the preferred diet in order to bring down emissions from the farming world. Almost 80 per cent of vegans in the US are women, with anecdotal evidence from other countries showing similar numbers. This can lead to the cliché that it is more difficult for men to lead a vegan lifestyle and tear away from their steaks and pork medallions. However, as Alex Lockwood, author of The Pig in Thin Air, and a vegan for over a decade, tells us, this is not the case. His book offers a personal journey as to how this man from Newcastle came to quit eating meat. 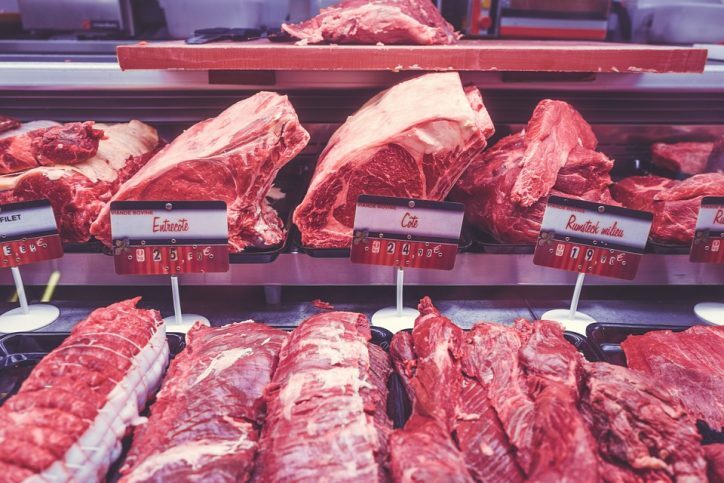 “Men and meat are associated together very closely and that’s why men consume more meat, and therefore if they consume more meat, they have a bigger environmental impact than women. Men need to challenge the stereotypes of what it means to be a man,” he told The Green News. Veganism is a way to transform capitalism regarding animal exploitation and “to challenge the exploitation of the environment and our health,” claims Lockwood. More than a lifestyle, “it’s a social-political, environmental-justice identity”. The concept of masculinity is formed by society, he explains. It is due to our cultural social identity, to patriarchy and its link with animal exploitation. “Men are seen as the providers. They benefit greatly from patriarchy and they don’t really want to stop the status quo. The institution of animal exploitation, with slaughtering, sports, entertainment and animal agriculture, benefits men in what they don’t benefit women,” says Lockwood. Eating meat is often associated with strength due to a global misconception about proteins, he says. According to the American Dietetic Association, vegan diets are healthful, nutritionally adequate and are appropriate for individuals during all stages of the life cycle. Among famous male vegan athletes are the Formula One racing driver Lewis Hamilton and the boxer David Haye. If professional athletes can sustain meat-free diets then it seems that the “weak” stereotype of veganism is based on flawed beliefs about gender. Lockwood is a runner for several decades now. By reading about plant-based American runners, he found a new identity. “They were examples, they were really easy to use as models,” he says. The fear of transition is real. “We grow up with the identity of being consumers of animal products and any challenge to our identity is going to feel like a threat. Most people want to belong to the mainstream normal dominant group,” he says. Younger generations are, however, less impacted by gender stereotypes, he says. “They are more gender fluid and much happier in terms of gender not being big monolithic male, female stereotypes. People don’t describe to be masculine or feminine anymore. The idea of veganism is transforming a lot,” claims Lockwood.